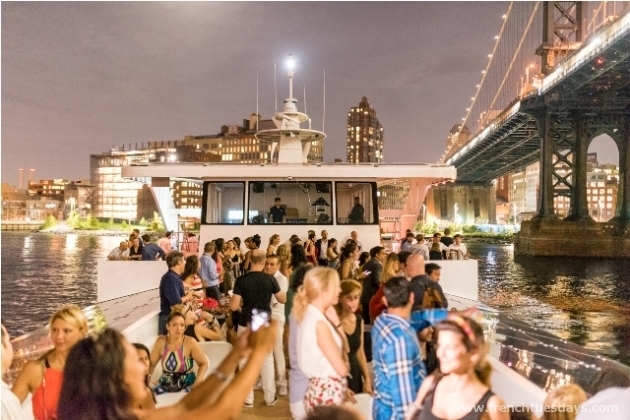 Bottom Line: Even a thunderstorm didn’t rainout the party, as the Champagne Cruise pulled out into New York harbor. 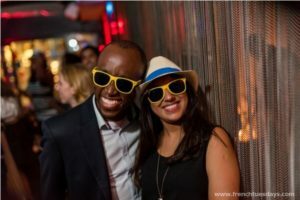 Review: French Tuesdays is now in its 13th year and with chapters in 13 cities both here and abroad. Yet, it still is the eternal party, a refuge from the mundane weekday work existence. Nothing, of course, lasts forever. But as we get older and move on, the party is and will always be as fresh as ever with new faces and others who come back. 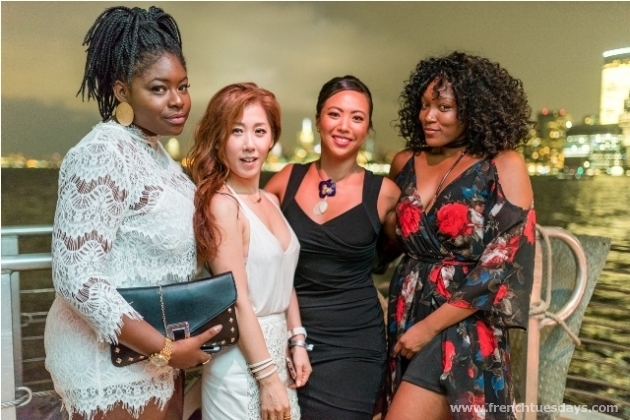 FT has hopped among Manhattan’s chicest rooftop lounges and hotels to the raunchiest, why-I-love-France-decadent burlesque shows at the Box theatre, and to this evening, a three-storey cruise set sail in New York’s waters. It will never stop, even when we have to. With the city lights dazzling before your eyes, for a moment, you are in a timeless bliss floating on water and chatting with new friends. 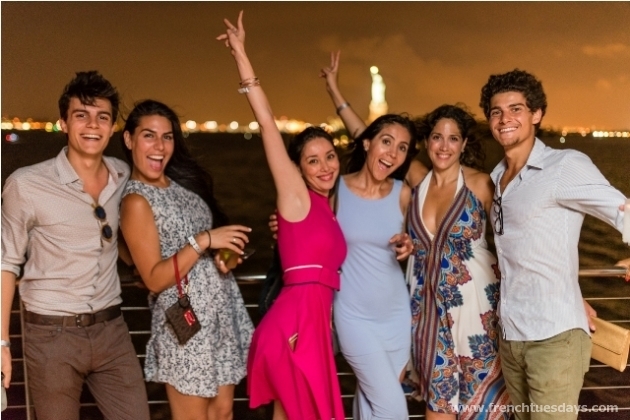 Nothing else matters as you take a sip of champagne and peer back star-like New York skyline. But as the bar finally closed this evening, and the boat drifted back to shore, the somber feeling of impending doom crept back. Tomorrow’s back to the usual: subway, work, sleep – but tonight was different and far more special. 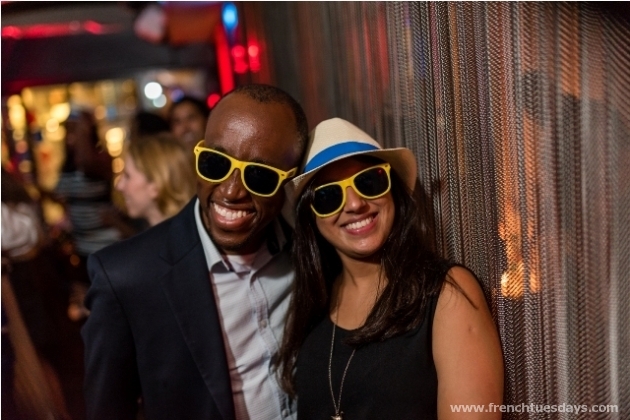 For information on the upcoming French Tuesdays party at the Sky Terrace or membership visit the FT website.